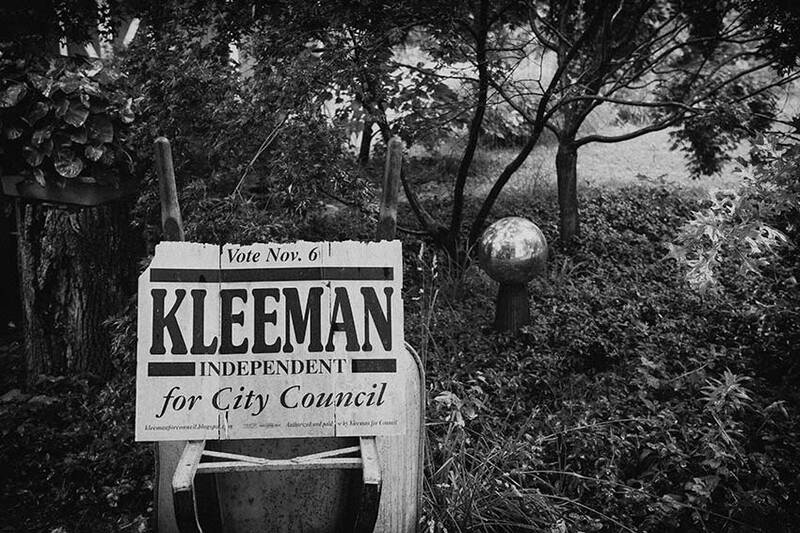 After six years exposure to the Virginia climate this Kleeman sign suffered structural failure. A physical remnant of the 2007 Council election. 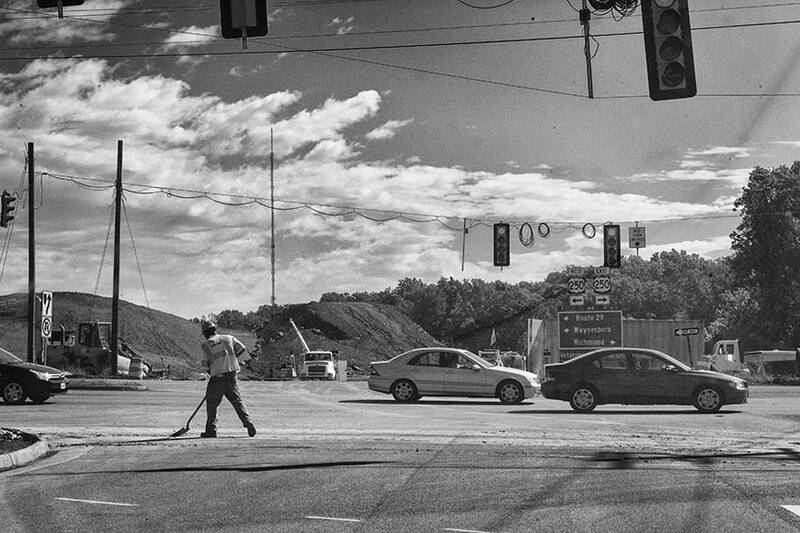 A physical result of several elections, construction of a road through a park.